Our colleagues have wasted no time putting their knowledge to work since the congress. 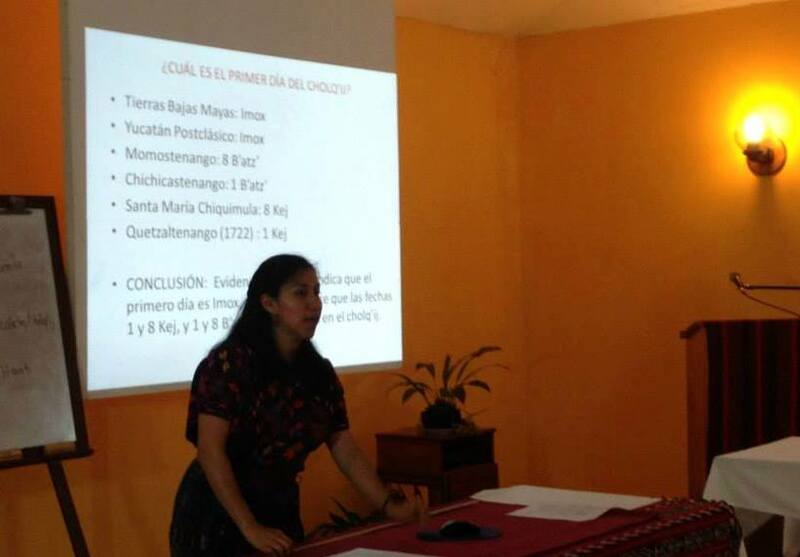 The Sak Chuwen Group, led by the ever-active Romelia Mo’, presented a glyph class for the general public in Santa Cruz, Alta Verapaz, Guatemala last June . 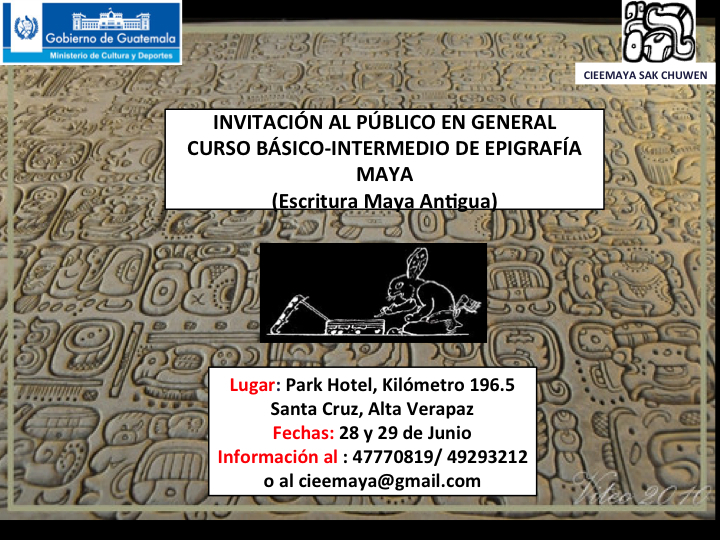 This workshop was followed by another one in Guatemala City in July. 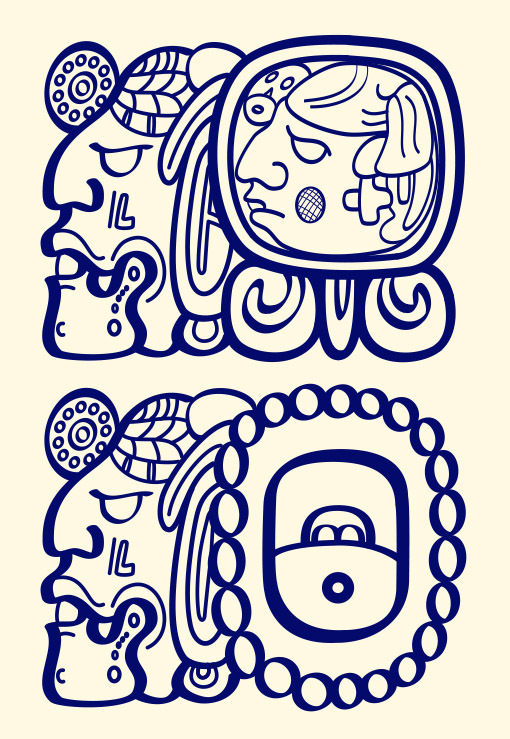 Isn’t it interesting how our Maya colleagues insist on adding color to the glyphs? 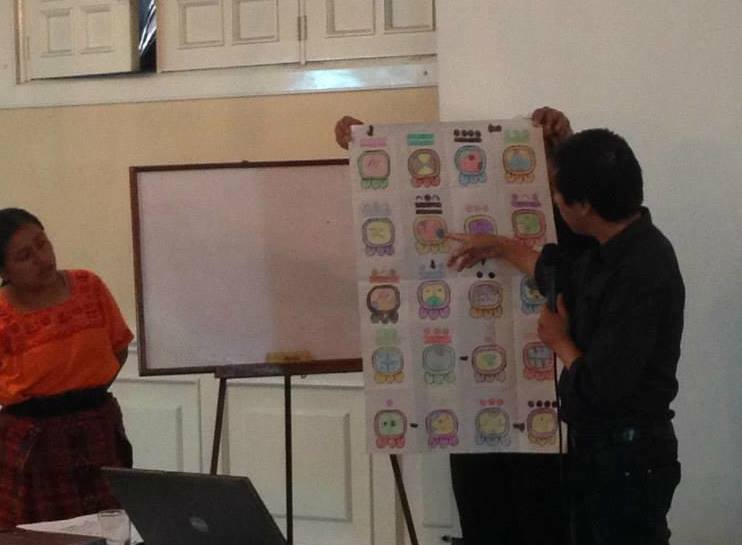 In Campeche, two-time congreso attendee Nehemias Chí Canché has implemented the introduction of glyphs to students 6 to 12 years old at the Centro de Extensión del Instituto Politécnico Nacional based in Campeche, Mexico. Meanwhile, Kaqchikel artist and design student Walter Amilcar Paz Joj, from Panajachel, has produced some rather remarkable long count dates in stela format. Here is the date February 13, 2010, rendered as 12.19.17.1.18, 2 Etz’nab, G2 Lord of the Night, 18 Pax, which happens to be Ed and Cassandra Barnhart’s wedding day. Dr. Barnhart and many members of his Maya Exploration Center (www.mayaexploration.org) were eager and generous supporters during our recent Indiegogo campaign raising funds for the 2nd International Congress of Maya Epigraphers. 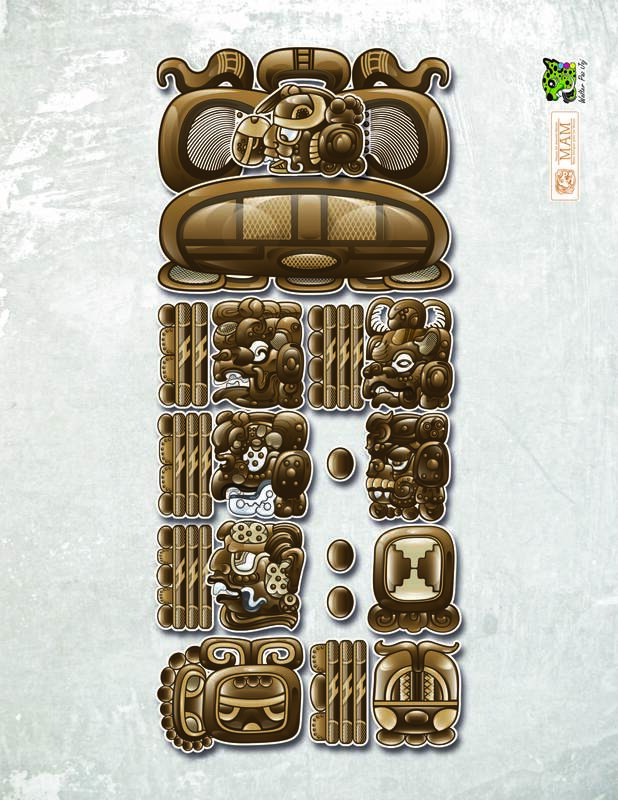 Walter Paz is a graphic design student at the Mesoamerican University in Quetzaltenango, Guatemala, where he will soon be receiving his licenciatura in Diseño Gráfico y Publicidad. 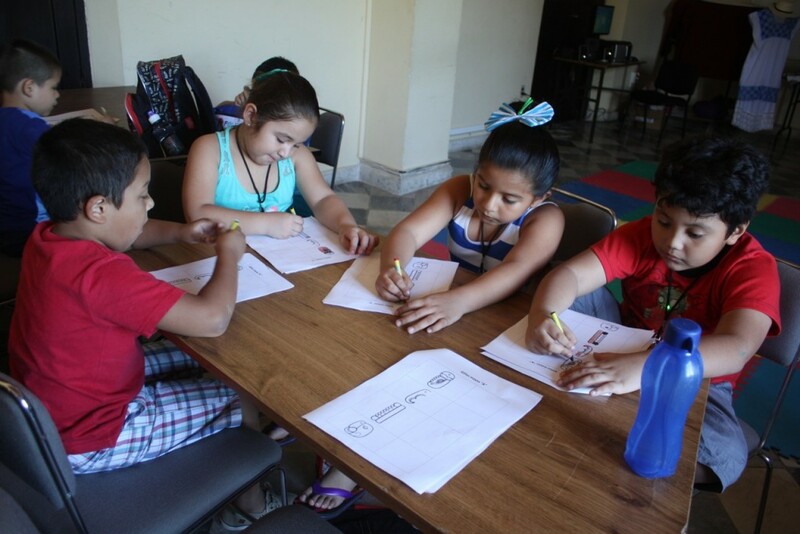 Our goal at MAM in the next few weeks is to set up a fund whereby our Maya colleagues can apply for small grants to continue staging their own workshops in their own communities. If any of our readers would like to know how they can help, they can email me directly at discovermam@gmail.com. Posted by Bruce Love, MAM President.